From the pioneers of credit union loan analytics comes the industry’s first truly self-service, end-to-end loan portfolio analytics and peer comparison platform. Grow your assets by targeting the right individuals for new loans by drilling into your data to identify individuals exhibiting specific credit quality or behavioral characteristics. These attributes can be provided by the financial institution or sourced by 2020 Analytics through our vendor partners. Improve your return by quantifying each loan product’s contribution to your bottom line. Our platform and experienced staff determine the loan pools exhibiting win-win scenarios for both you and your members by evaluating the impact of charge offs and tailoring factors such as origination costs and cost of capital. Save time by leveraging our turn-key analytics platform, which takes care of the “data dirty work” so that you can spend your time doing what matters; making decisions. We also offer best in class custom solutions to provide deeper insights when necessary. Requiring no long term commitment and a 100% satisfaction guarantee, we’re motivated to provide the most user friendly solution for analytic objectives that would otherwise seem daunting. 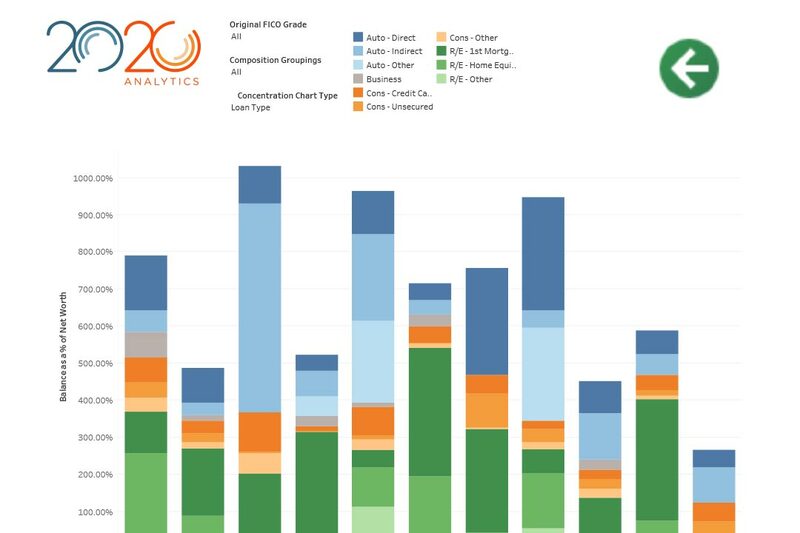 At 2020 Analytics we clearly define your total costs based on real expectations to complete your analysis and to board your loan data before we begin any work. This provides a distinct advantage to other providers generally that lure you in with lower expected fees that quickly escalate after the start of the project. 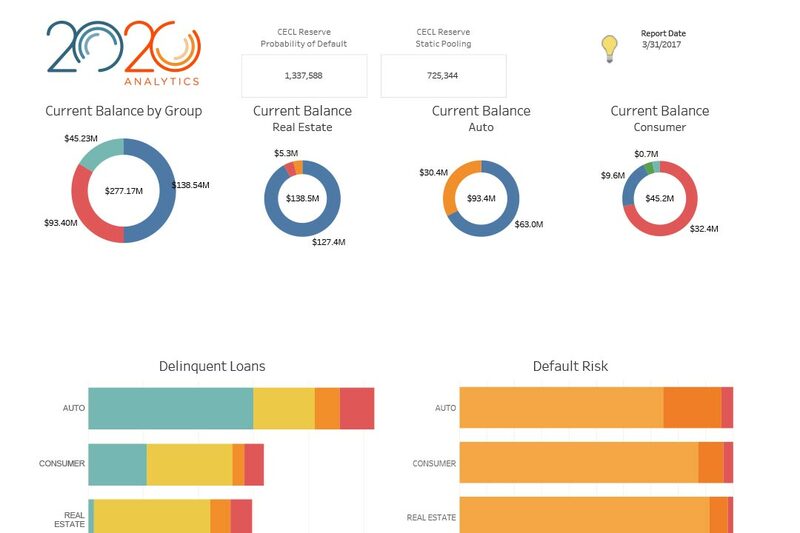 2020 Analytics starts with raw data extracted from your core system and/or a third party that is tracking your loan portfolio. We accept data from multiple sources and in various file formats. We offer a full suite of services including updated Credit FICO Scoring, Collateral Valuation and Multi-Dimensional Portfolio Analysis. 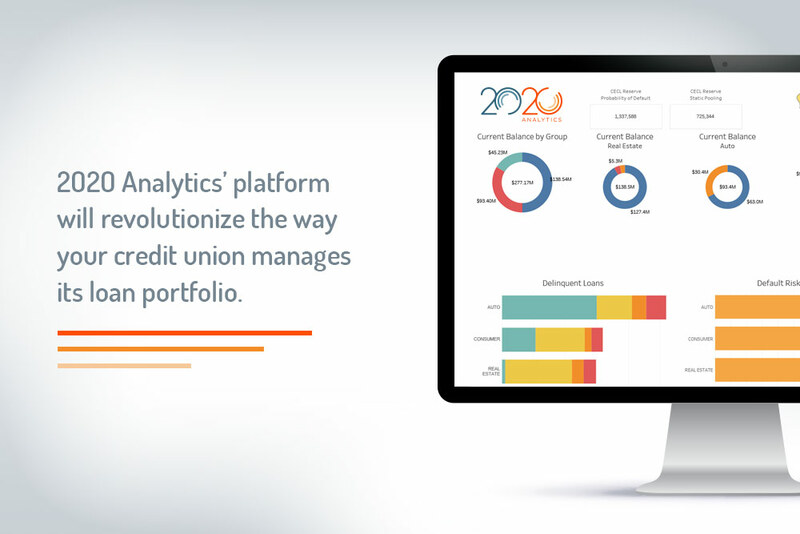 2020 Analytics helps credit unions evaluate their current cardholders to optimize credit limits by identifying members most likely to increase the use of their cards if additional limits were extended. Our platform gives you the ability to see how your credit union stacks up against your custom peer group and evaluate factors such as portfolio composition, interest rates and other relevant attributes. Analytics on Demand: Your risk does not wait until the end of the month, why should you. At 2O2O Analytics you can upload your loan data and run your portfolio analytics in just a few minutes. There are a lot of options out there to obtain data analytics, but they don’t always provide great support. I’ve found that when we’ve needed something, or wanted to run an additional scenario or add a new feature to the platform, 2O2O has been very responsive and willing to work with us to meet our needs. The responsive and dynamic working relationship with 2O2O’s personnel, along with the ability of the product to be customized and updated as business needs change, is what makes 2O2O the right fit for us. We were impressed with the flexibility offered by the 2O2O Model. Their team works with us to determine what information we need to fuel our operational decisions and the best way to incorporate that information into the loan portfolio analysis. They are able to present the data in a format that adds real value to our decision-making process. This is amazing!! It’s access to visual data we haven’t had before!